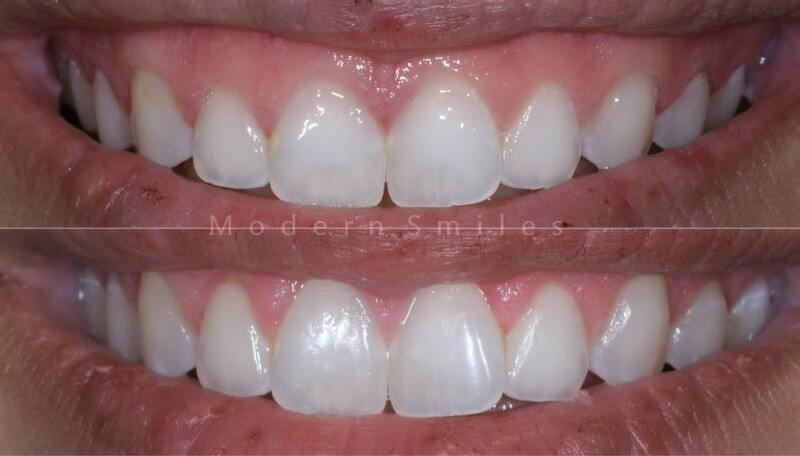 Gingivectomy – a cutting away of the gum tissue which can help enhance the size and shape of your teeth and gummy smile without having to do veneers any permanent alterations to your tooth structure. This technique is only used if an adequate amount of attached gum tissue will remain in place. Gingivoplasty – a reshaping of the gum tissue. It can improve the shapes of the gums around the teeth. The results of this treatment are visible immediately and is often done with a dental laser in 30 minutes or less with very little discomfort. Crown Lengthening Surgery – a peeling away of the gum tissue to the surgeon to treat the underlying bone and surrounding tissue. 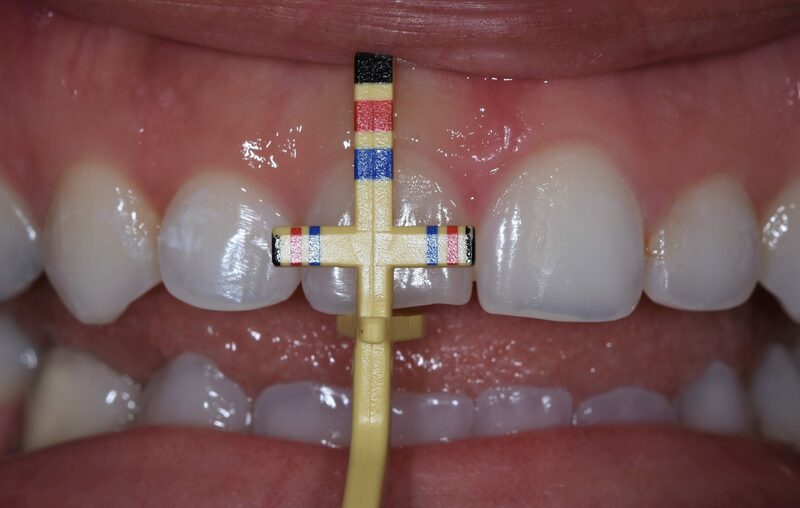 The flap may then be reattached at the higher point to permit less gum tissue to show when smiling. 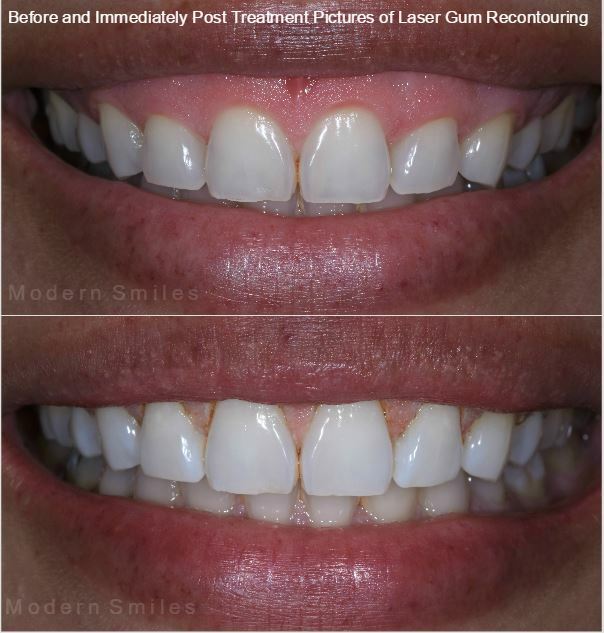 If you are interested in gummy smile correction or evaluating your option please call our office at 818.763.9353 or make an online appointment for a free consultation at our dental office in North Hollywood. My experience here is always great! The doctor is professional and kind and the staff is always friendly. Thank you so much for taking care of me.